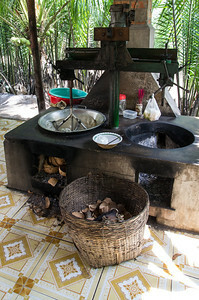 Ben Tre is very well-known as the land of coconut. 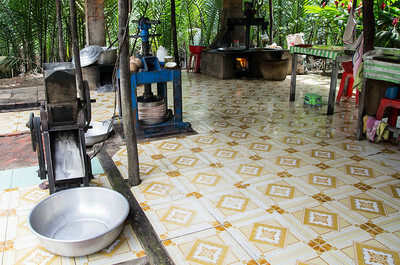 With the coverage of more than 40,000 hectares, and a wide range of coconut species, Ben Tre is considered to have the largest coconut coverage in Vietnam. 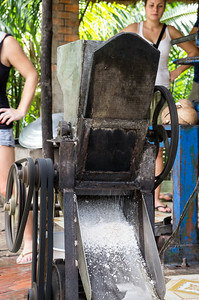 The production of coconut candy starts with thegrating of fresh coconut flesh. 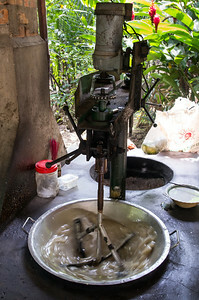 The grated flesh is then pressed toextract coconut milk and coconut cream. 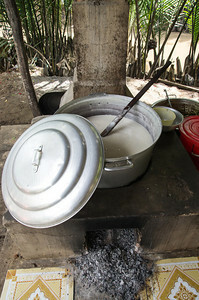 The next step is the addition of malt syrup and sugar to this mixture of coconut milk and cream. The ratio of the various ingredients is a closely guarded secret of individual coconut candy manufacturers. 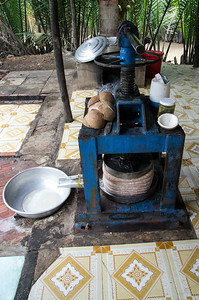 The mixing process is often entrusted only to family members of the factory owner. Slight variations in the ingredient ratios can lead to very different texture and taste in the final product. 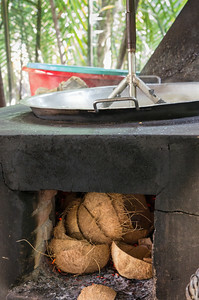 The mixture is then heated to a very high temperature in large woks over fires generated by theburning of coconut shells. While being heated, the mixture is stirred continuously to ensure even heat distribution. 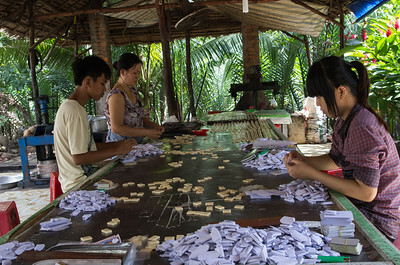 Traditionally, this stirring process was done manually with large wooden paddles. In larger modern manufacturing facilities, these paddles have been replaced byelectric motors. The mixture eventually caramelises to a thicker texture. Recognising when the mixture has been cooked to the right level is more of an art than an exact science. While it is still hot and soft, the thickened mixture is then stringed out into moulds and allowed to cool. The final step sees the candy stringscut into rectangular lozenges, then wrapped and packaged. 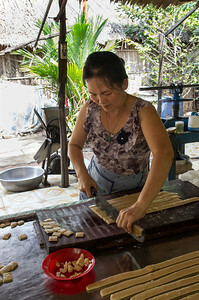 Traditionally, coconut candy is wrapped in two layers of wrappings. 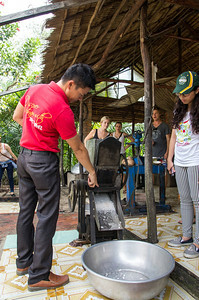 The inner layer is edible rice paper, and the outer layer is paper soaked in vegetable oil. These measures were necessary to stop the candy from sticking to the paper wrapping. Larger manufacturers now use heat-sealed foil paper, which does not stick to the candy.